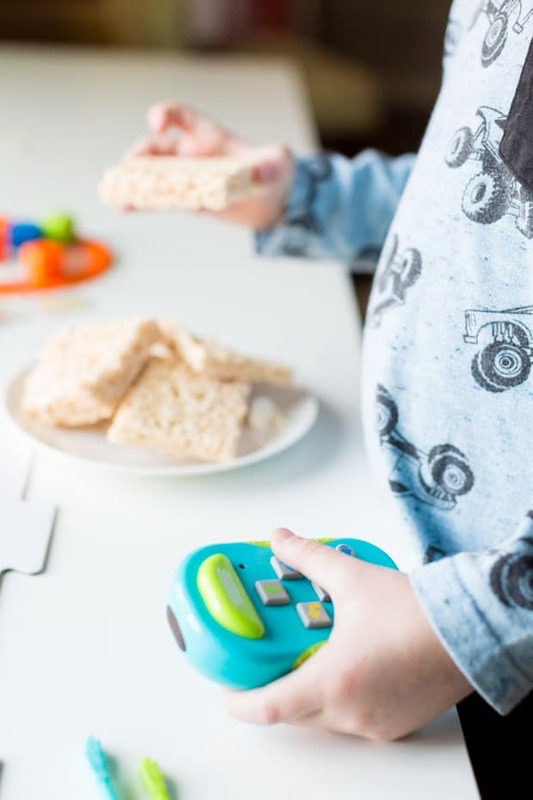 Fun and easy classic Rice Krispie Treats are the perfect snack to enjoy while playing with this top toy idea! In my life before motherhood, I was an elementary school teacher. I loved my job — it was pure magic for me to be part of the learning experience with the kids. Once I had my boys, I stepped out of the classroom. But once a teacher, always a teacher. I’m still just as passionate about having my kids learn new skills and information as I was when I was in the classroom. Because of that passion, I’m always on the lookout for fun and educational toys to add to our play room arsenal. I want the boys to understand that learning can be so.much.fun and to constantly be exploring and challenging themselves. 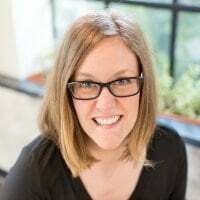 I was thrilled with the opportunity to partner with Mirum to talk about Botley, my son Rowen’s new favorite thing. What’s Botley? Let me tell you! For starters, I think he’s pretty darn cute. Am I right?! 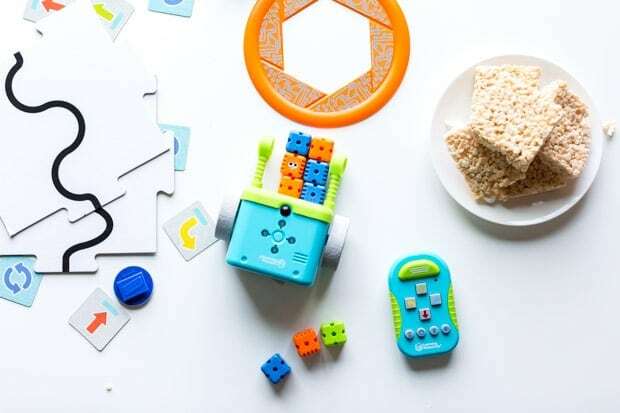 Botley is a little robot that introduces kids as young as 5 to coding in an easy, friendly way. 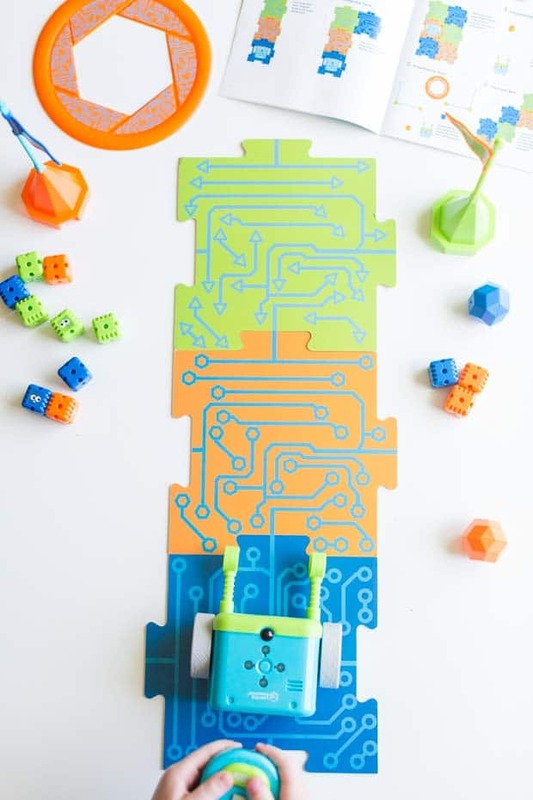 He’s 100% screen free and is the only coding robot that includes a 77-piece activity set! The moment the box was opened, Rowen got busy assembling everything. It amazes me what kids are capable of! 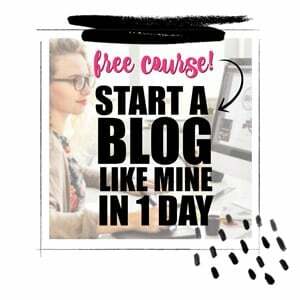 It took Rowen no time at all to figure things out and get started. Without help from mama! Rowen is definitely a hands on learner. He is constantly building — or daydreaming of the next thing to build. He’s been this way since he was teeny tiny. I’m happy to foster his love of building. I can’t wait to see where it takes him. I was thrilled to see how quickly he got to work with Botley. Not only was he having a blast, he was exercising critical thinking and problem-solving skills that will serve him well for the rest of his life. 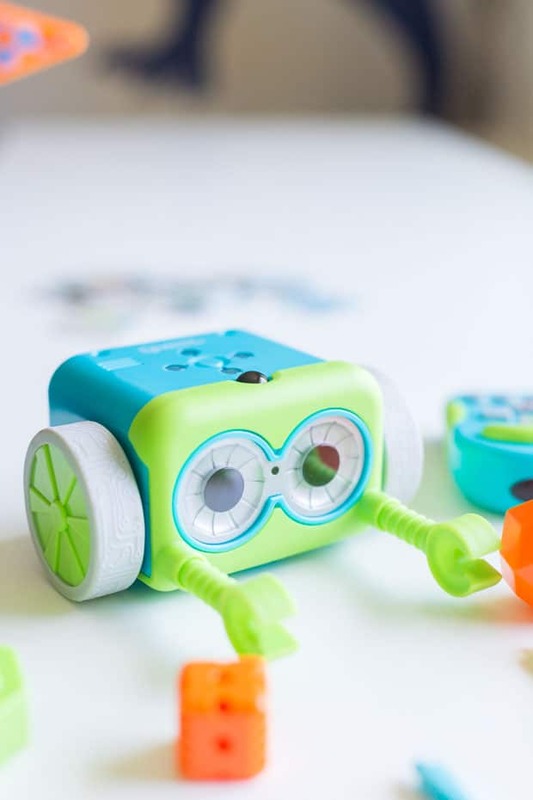 He had no idea he was learning STEM skills — he just knew he was having a great time creating. And as Rowen’s coding skills grow, so will Botley’s abilities so there are lots of future hours of fun in store for them together. I love that it’s not a “one-and-done” experience. I loved that Botley was ready to go, right out of the box, so that Rowen was able to get started right away. It’s always such a bummer when your kiddo is excited to start playing with something and it’s not ready for them! Not only was Rowen crazy about Botley, I loved him, too. 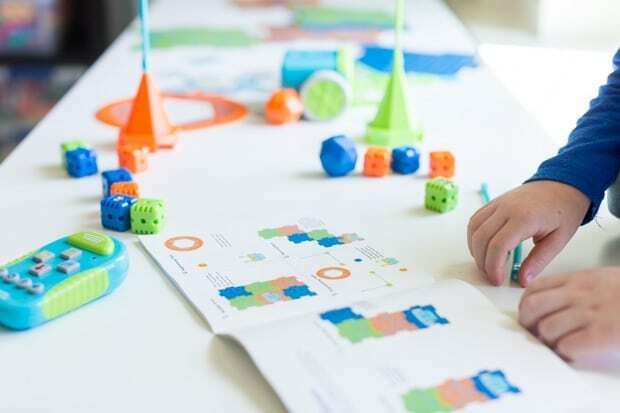 He’s won multiple awards, including Family Choice 2018 and the 2018 Parent’s Choice Award, which recognizes products that entertain and teach with flair, stimulate imagination, and inspire creativity. After having Botley in our house, it was easy to see why there have been so many awards! I picked up Botley at Walmart while I was doing my other shopping. If you know me, you know I love when something is convenient. I was also able to snag $15 cash back thanks to an in-store ibotta offer. Whoop whoop! While Rowen was busy creating with his new buddy, I decided to head into the kitchen to make a classic snack. 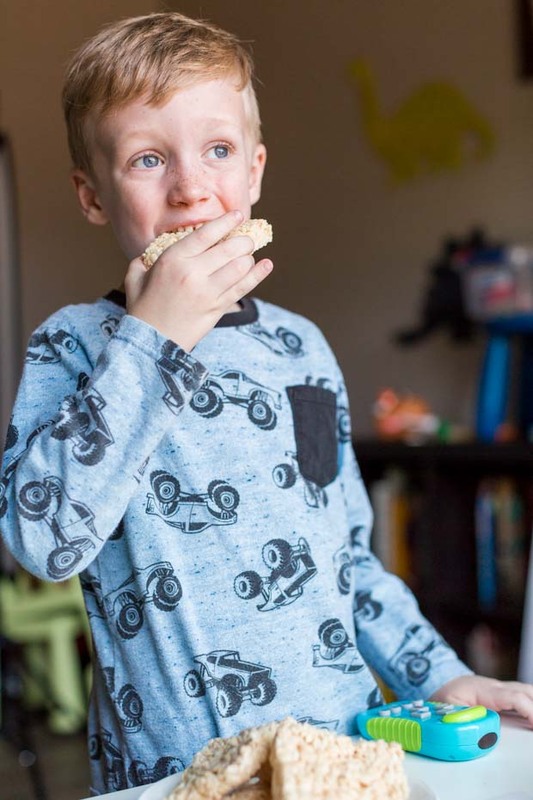 Rice Krispie Treats are a favorite in our home. There is something so satisfying about this easy, homemade treat. I can remember noshing on monster sized Rice Krispie treat squares at my Mim’s as a little girl and it’s still a favorite flavor for me. Naturally, my boys love them as well. How could you not!? They’re the best! This fun recipe uses items I bet you already have in your cupboard, making it the ideal quick treat. You’ll need butter, mini marshmallows, vanilla extract, and Rice Krispies. 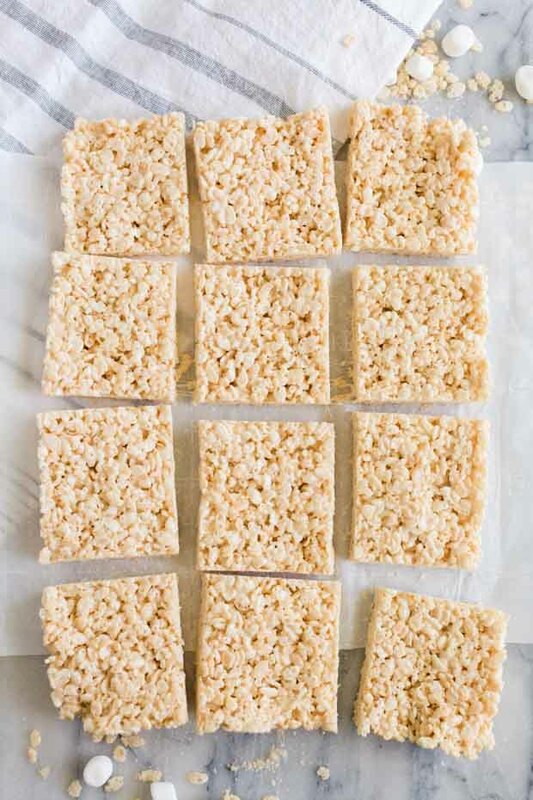 Let me add: this is the original recipe — but one of the best parts of this Rice Krispie treats recipe is that there are so many great variations. For example, you could use other cereal flavors: think cocoa or fruity. You can add mix ins like peanut butter, candy, chocolate chips or a chocolate drizzle. And you can get creative for the holiday snacks! You could do food coloring or shapes galore to celebrate Christmas, Easter, Thanksgiving, Valentine’s Day or Halloween — think Frankenstein!! There are endless possibilities for your enjoyment. In a microwave safe bowl, melt marshmallows and butter for 1 minute. Remove from microwave and pour in vanilla. Stir until the mixture is completely smooth. Add 6 cups of Rice Krispies and stir until the cereal is well coated. Line a 9×13 baking pan with parchment paper and pour the cereal mixture into the pan. Place a piece of parchment paper over the top and press the krispies down into an even layer. Let sit on the counter for an hour or in the fridge for 30 minutes until set. Lift the treats from the pan and slice into giant bars. Or you can make more reasonably sized ones, it’s your call! My boys were delighted with the treat! Rowen munched while coding his Botley. I loved listening to him work and occasionally explain to me what he was up to. I love my kid’s imaginations and watching them create and explore their ideas makes my heart nearly want to burst. 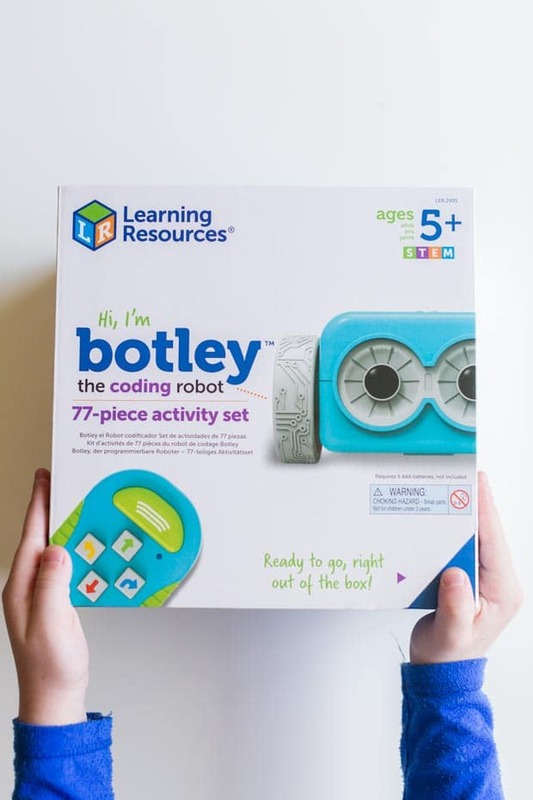 If you’re looking for an amazing toy option that will enrich your kid’s lives, head to Walmart and grab Botley pronto! This fun and easy classic treat is the perfect sweet to enjoy. In a microwave safe bowl, melt marshmallows and butter for 1 minutes. Add 6 cups of rice crispies and stir until the cereal is well coated. Line a 9x13 baking pan with parchment paper and pour the cereal mixture into the pan. Place a piece of parchment paper over the top and press the crispies down into an even layer. Lift the treats from the pan and slice into 12 pieces. Sooo delicious! My son love it.